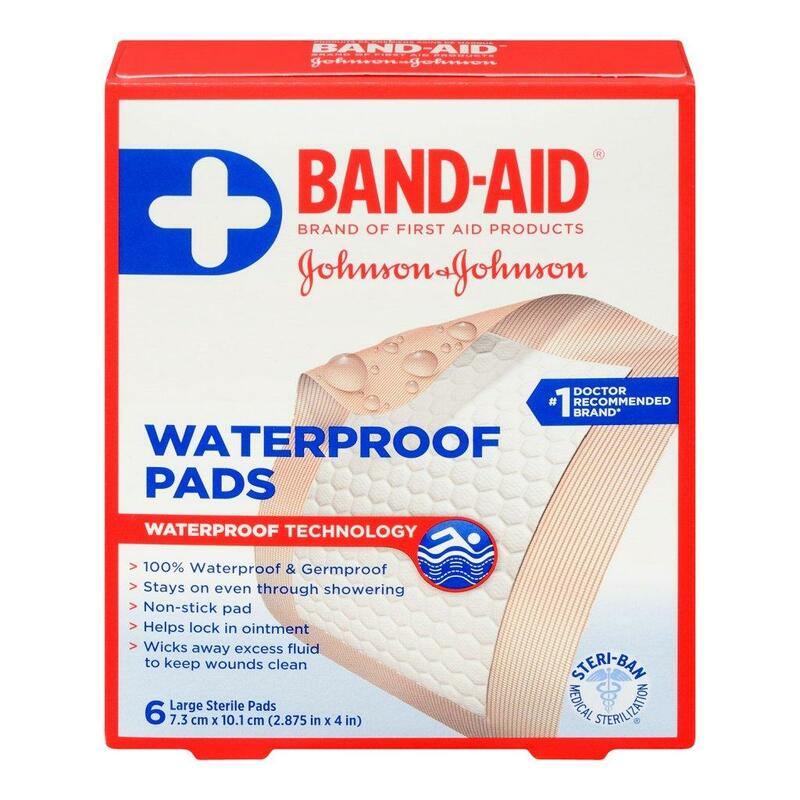 Waterproof bandages keep larger cuts, scrapes and minor surgical incisions dry and protected. These are genuinely 100 percent waterproof bandages, and they're germ-proof, too -- even in the shower. Lined with four walls of adhesive to stay in place, they prevent the outside world from getting in, while keeping their non-stick pad dry. They'll lock in any ointment you're using. I placed the pad on my open wound after minor surgery on my arm and as soon as I placed the pad on, it was almost instantly falling off and barely sticking. We're sorry to hear this! We'd like to learn more and see how we can help. Please call us at 1-800-361-8068, we're available Monday through Friday, 9am to 5:30pm ET. We hope to speak with you soon!